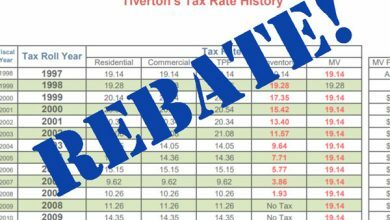 As vice president of the Tiverton Town Council and a member of the Tiverton Taxpayers Association (TTA), I feel I have to respond to William McLaughlin’s letter attacking us, because so much of what he says is simply untrue. The council did not “hire” anybody to “help run the library.” The Board of Trustees for the library is a group of local volunteers who give guidance to the employees who actually do run the library. 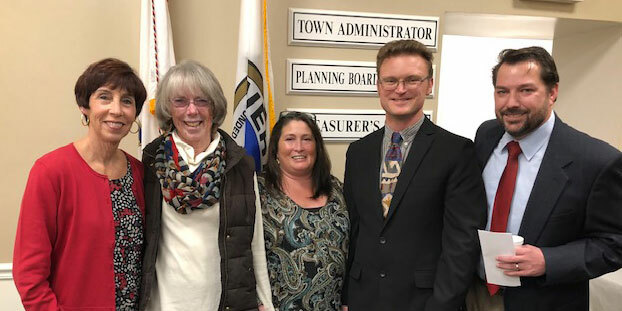 With three applicants for two openings on the board, we chose one (out of seven) who would represent a different point of view — a view shared by many Tiverton residents. We are not “filling out the budget in building committees” with cronies, assuming Mr. McLaughlin means “budget and building committees.” The Budget Committee is elected, which means the people of Tiverton put those people on the committee. As for “building committees,” the Town Council has only made a handful of appointments since November, but except for the library board, we have yet to appoint anybody whom TTA members of the council know in a friendly way. We are not preventing “open comment or speech” at our meetings. In fact, we are giving residents more opportunity to speak because we are allowing comment on anything on the agenda at the time that we’re talking about it. If you want to talk about something that’s not on the agenda, we only ask that you put in a request, either through the Town Clerk or one of us, so that we can get a handle on our schedule and be prepared to have a productive conversation with you. Even more, whenever we don’t have an executive session, we’ll have an open forum, and you can come up and say anything you want. An important second part of that rule is that we’re going to try to have fewer executive sessions, so more of our work is done out in the open. In fact, at the first meeting after the rule goes into effect, April 8, we will be discussing the fire fighters’ contract out in the open, rather than in executive session. Therefore, there will be an open forum. If Mr. McLaughlin wants to come to the open forum to complain that there aren’t any more open forums, he is welcome to do so. And on taxes: The Town Council’s proposed budget would lower the town’s total tax bill by 2%. The Budget Committee appears to have changed that to a 1.5% reduction. I know some people would like the reduction to be even bigger, but the guiding principle behind the Town Council’s budget (at least for a majority of the council) is to compromise with this budget so that we can bring everybody to the table over the next year to discuss a long-term financial plan to fund town services while preserving a lower tax rate. That seems to me to be a promise kept. Lastly, Tiverton residents have a right to know about the people who involve themselves in town politics. Mr. McLaughlin is suing the town for millions of dollars (for actions taken long before any TTA members were on the council). In November, he ran for Town Council and lost. His first complaint against those of us who won was that we hired a different attorney to represent the town. What is his agenda? On our end, TTA’s agenda is clear: a lower tax bill and a better-run government. I’m happy to address any questions residents might have by email (jkatz@tiverton.ri.gov) or phone (401-835-7156).